Christ, the name given to Jesus, always reminds us of his suffering and death. However, the word Christ does not mean victim, but speaks of the mission of Jesus. Christ means Messiah. On the other hand, we always think of the Messiah as an individual who appears and is ready to be the Savior of the fatherland! Jesus, the Son of the living God, is neither Messiah nor Christ in the popular sense of the words. In fact, Christ is the translation of the Greek word Messiah, which means “anointed”, the one who receives the anointing with oil, which means the descent of the Spirit of God upon his life for a special task. The task was to lead the people to return back to God, rule over them and free them from their oppressors, their troubles and their sufferings. Jesus is the Messiah, in the real sense of the word. He takes us back to the arms of God, rules with justice on our lives and constantly released us from the miseries of life. He is not an empty promises Messiah. He came, conquered the world and death, inaugurating a new era. Eternal life has begun for us with the coming of the “Messiah”! Life is much more than a cluster of cells, substances, white and red blood cells. Life is much more than a physical body that wears out, grows old and dies over the years. Life is much more than the intellectual part of the human being that amasses knowledge and information; it is endowed with reason that reaches certain conclusions. Life is much more than the spirit, which is not consumed over time and is identified with the supernatural and the inexplicable. Life is all of these: the substances that form the body, plus the mind and the spirit that the body is gifted with. There is nothing in the world more important than our own life. However, life is threatened by sin — Threatened; sin that came along on birth, part of our own body that stained our mind and spirit. To rid your life of sin, error and corruption, Jesus, the Son of God gave his life, dying in your place. Now you can truly live, live forever! 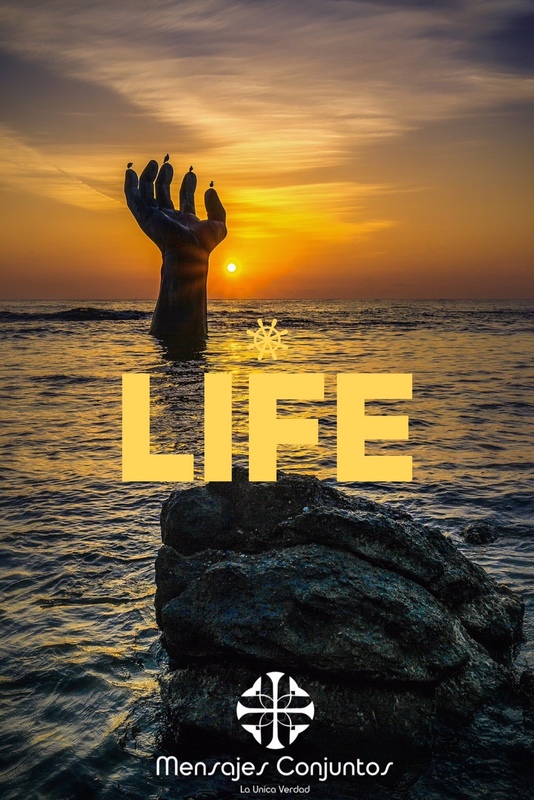 Long live the true life! Life in Jesus!